In addition to enjoying Playa Norte, the most famous on the island, you can also ride a bike or rent a golf cart to go around every corner. The sculptural park and the viewpoint are common places among all the visitors, but there are 7 excellent activities for the whole family that you can not miss because they will make your visit something exceptional. Are you ready to know them? Miguel Hidalgo Avenue is the heart of downtown Isla Mujeres. It is a pedestrian avenue surrounded by restaurants and shops of all kinds, ideal to walk in the afternoon, taste a good regional or international food, enjoy a while in a bar or witness the live music of the main square. You will find small and pleasant hotels, ice cream parlours, coffee shops and craft shops of many places in Mexico. You can also sit at one of the outdoor tables of bars or restaurants and enjoy the tropical weather while you refresh yourself with a margarita or a more sophisticated cocktail. You can try Bertha's, restaurant & mixology bar (Fan page: @BerthasIslaMujeres). They offer a really delicious ceviche, great variety of beverages and food, as well as an excellent service and good prices. Lola Valentina is another excellent place to enjoy Isla Mujeres (Fan page: @Lolavalentinaislamujeres). They offer a Mexi-fusion menu, as well as breakfast and dinner. The variety of their drinks is enormous and the service is really good. What about a chocolate/chipotle ice-cream? You can try this and other culinary creations here. As you see, the Miguel Hidalgo Avenue represents an obligatory tour on your next visit to Isla Mujeres. I am sure you will find the perfect place for you and your family to enjoy a quiet but fun vacation in this corner of the Mexican Caribbean. 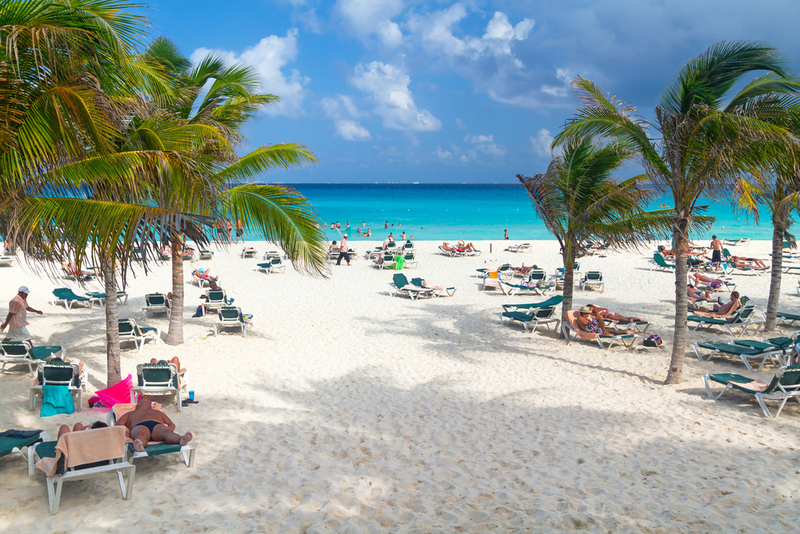 It is an all-inclusive tour that starts and ends in Cancun but takes place in Isla Mujeres. 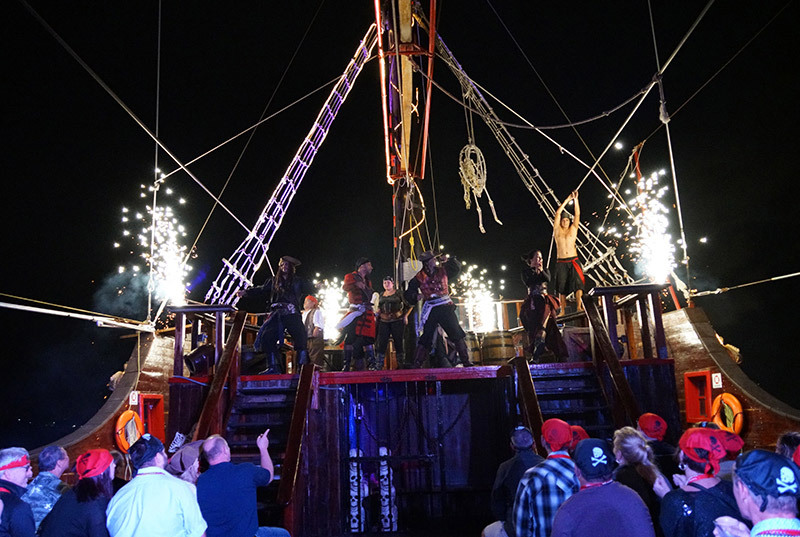 The party starts when you board the catamaran (a boat with platforms that allow you to enjoy an incredible view of the Caribbean Sea while sailing to the island). Here you will sail with your family over the turquoise blue sea while enjoying unlimited alcoholic and non-alcoholic beverages. The music will encourage you to dance during the tour so that you arrive happily at the first stop: a reef for snorkelling. It practically does not matter if you or someone in your family does not know how to swim because they will be quite well equipped with a vest, fins, mask and breathing tube. There will also be a guide taking care of them all the time. This short stop is an excellent opportunity to get up close to a part of the Great Mayan Reef, the marine life that inhabits it and, of course, to take many photographs to remember. The tour continues on the catamaran until reaching the dock at Isla Mujeres. There you will enjoy a tour through the streets of the magical town and you can get some crafts as a souvenir of your trip. You can also eat the delicious dishes of the region and enjoy a great time with your family on the white sand beach before returning to Cancun. 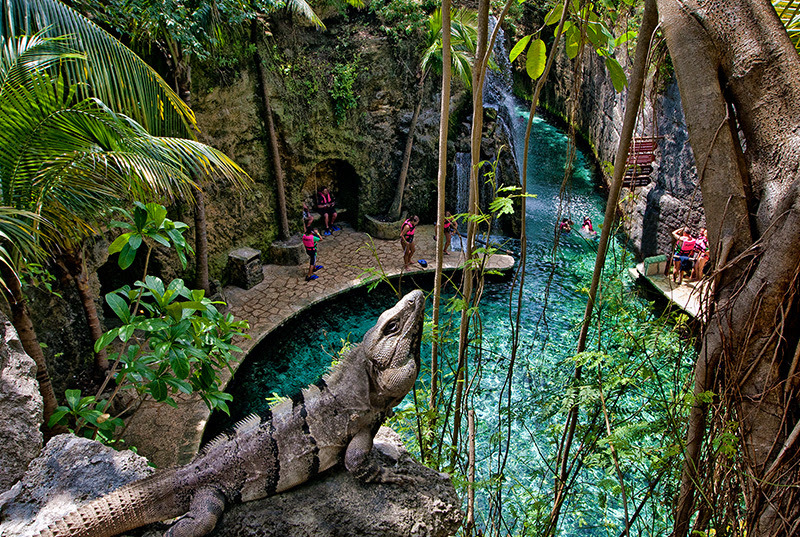 On the way back to Cancun you can enjoy an incredible activity. It is the spinnaker, a triangular sail of big size used to sail at great speed with the wind in the stern. The crew will adjust the sail to the catamaran so that it is like a swing that flies over the sea and will be ready to enjoy. It is a very exciting activity. Dare to fly in the spinnaker! If you want to know more about this activity, promotions, prices and discounts, visit Catamarán to Isla Mujeres all inclusive and discover everything it has for you. The history of Hacienda Mundaca in Isla Mujeres goes back to lamentable but common events in the days of Fermín Antonio Mundaca and Marecheaga, a pirate of Basque origin who was dedicated to exploring and trafficking slaves, as well as being a mercenary. Mundaca took refuge in Isla Mujeres to escape the justice accused of trafficking people from Africa to Cuba, which made a fortune. The farm that he built today bears his name but was originally called Vista Alegre. The inspiration to build the Hacienda Mundaca, he got it from "La Trigueña", a native woman that he fell in love with. One of the stories tells that Mundaca never had contact with the people around him on his farm, so he spent his last days alone until he fell ill. He was then taken to the city of Merida to be treated but died in the hospital and his body never returned to Isla Mujeres. Another version tells that Fermín Mundaca built Vista Alegre in honour of "La Trigueña". In the hacienda, there are large gardens, wells and arches. There is even an entry called "La Trigueña", but the legend tells that the woman never crossed there. It is important to consider contact with nature when travelling to Cancun or Riviera Maya. That's why in Isla Mujeres you have the opportunity to live with dolphins, one of the most extraordinary beings of the sea. How? There is a dolphinarium that offers various types of activities for all tastes and with different complements. Dolphin encounter. Ideal for small children, elder people and pregnant women. Dolphin swim adventure. An improved experience with more interactions with dolphins, creating a bond with them for a better contact with nature. Dolphin royal swim. It is the most complete experience. You will create a link with the dolphins in the course of 1 hour in which you will interact with them in a more dynamic way. 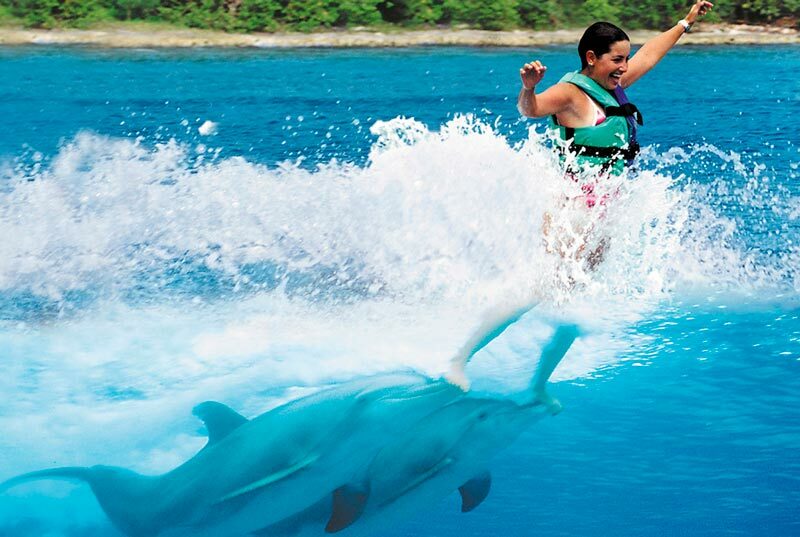 It is not about simply doing some activity with dolphins when you are in Cancun or the Riviera Maya. Your experience with these incredible fish is actually much better thanks to the available complements. The activities with dolphins in Isla Mujeres are available in a package, making your experience much more complete and memorable. No matter the type of interaction with dolphins you choose, practically all include the ferry ticket, a tour of the island, buffet food with unlimited drinks and of course a lot of fun. There are even VIP packages available for the most demanding. If you wish to consult each of the options and combinations available, here is a list of dolphin tours in Isla Mujeres from Cancun. You can choose the one that best suits your preferences and budget so that you do not stay without living with these incredible animals. Swimming with dolphins is one of the experiences you should enjoy at least once in your life. Do it now! The tortugranja is located 5 kilometres south of the Isla Mujeres downtown. It is an aquarium and turtle farm dedicated to the care and preservation of turtles, mainly of the species of giant tortoises that spawn in Isla Mujeres since ancestral times. From May to September, the tortugranja has its greatest activity since it is the season in which the giant turtles arrive to lay their eggs in the soft white sand of Isla Mujeres. Thanks to the protection of the Mexican Federal Laws, the tortugranja can collect the eggs to protect them. By the time the turtles are born, many are released to continue with the life cycle, while others remain in farm ponds. The tortugranja of Isla Mujeres would not have been possible without the initiative of a local fisherman, concerned about the conservation of the species. 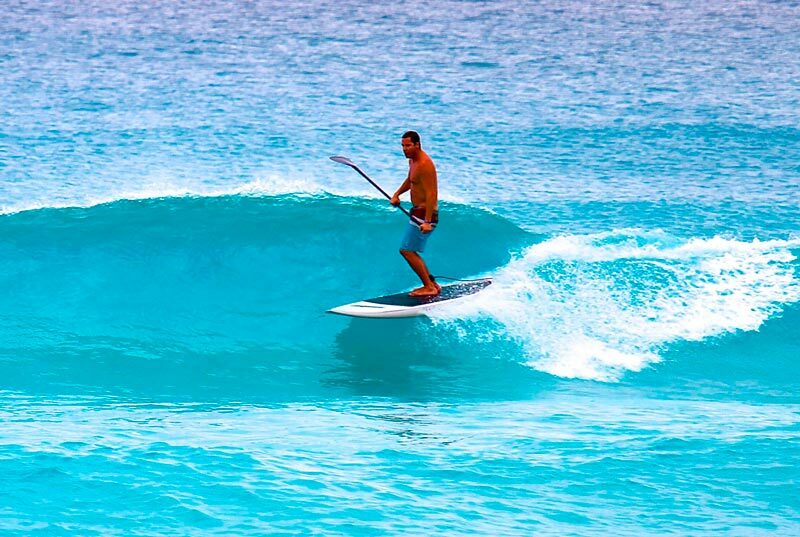 Thanks to this, the idea of the tortugranja began in 1980 and today its activity is recognized at the regional level, besides being appreciated by tourists and inhabitants of the island. What exactly does the tortugranja do? Turtle eggs are protected after they hatch. Tortugranja protects the nest with a wire fence to evade predators. When they are born, turtles live in large groups until they are 1 year old. They are then marked for identification and then released. Turtles are more likely to survive after being treated and cared for in the tortugranja for 1 year before being released. An advantage of releasing the turtles in Isla Mujeres, is that year after year they will return to these beaches to lay their eggs, which guarantees that the new turtles will be treated and procured in the same way as they were with their parents. But in the tortugranja of Isla Mujeres not only cares for a species of turtles. There are several species of different sizes and characteristics. When you visit the tortugranja, you will see from baby turtles to huge adults up to half a meter in length, of the species Carey Turtle, Green Turtle and Caguama Turtle (cayume or cabezona). To learn more about the Caguama turtle, the most common one in Isla Mujeres, you can visit the Sea Turtle World site. They have very light and complete information about the life of this threatened species. The cost of the entrance to the tortugranja of Isla Mujeres is MXN $20.00 per person. There are also sachets of food available for MXN $20.00 each. It is one of the best-rated hostels by its visitors and it is not for less. 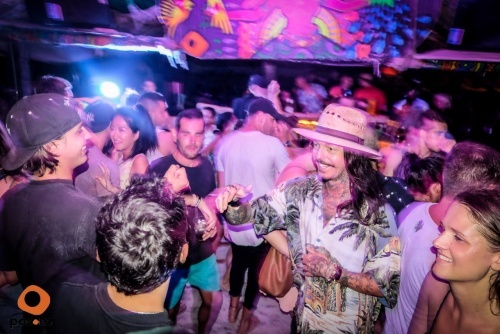 In addition to being a cosy hostel just 5 minutes walk from Playa Norte (the most beautiful of Isla Mujeres), Poc-na is also a recognized entertainment on the island downtown. Poc-na has a convenient private beach area. Here you can sunbathe, swim in the beautiful turquoise sea or play volleyball. In the afternoons, Poc-na is the place to listen to the excellent live music of the local bands. It has even been a venue to receive nationally recognized artists, as well as independent bands with diverse musical proposals. Although it is a comfortable and well-located hostel to sleep and rest at night, Poc-na is also a bar and garden where you can enjoy a magic show, reggae band or a party at the bar that overlooks the beach. 3 a.m. If you stay in Poc-na, you will not only enjoy comfortable, spacious, clean and air-conditioned rooms. You can also live with people from different parts of the world in an atmosphere of cordiality. The staff of Poc-na is an important part of making this hostel one of the favourites in Isla Mujeres, as their kindness and charisma will be present throughout your stay. If you do not stay here, Poc-na also opens its doors so you can enjoy a good breakfast, a drink at the bar or any of its nightly events. If you want to get in touch with the Poc-na hostel in Isla Mujeres, you can visit their fan page (@Hostelpocna). With the photos and videos that are there, I'm sure you'll want to visit soon. Punta Sur is an ideal attraction to enjoy an excellent view of the Caribbean Sea, Cancun Bay and Isla Mujeres Bay. In addition to being the first place that the sun's rays reach in Mexico every morning, it is also home to a sculptural park. There are exhibited sculptures of important Mexican and foreign artists. The Punta Sur Sculpture Park was inaugurated on December 8, 2001, and is a small sample of Caribbean art. 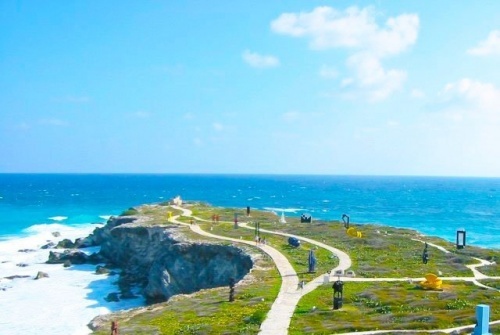 Inside the Sculpture Park of Punta Sur in Isla Mujeres, the shrine to Ixchel, Mayan goddess of fertility, is also located. 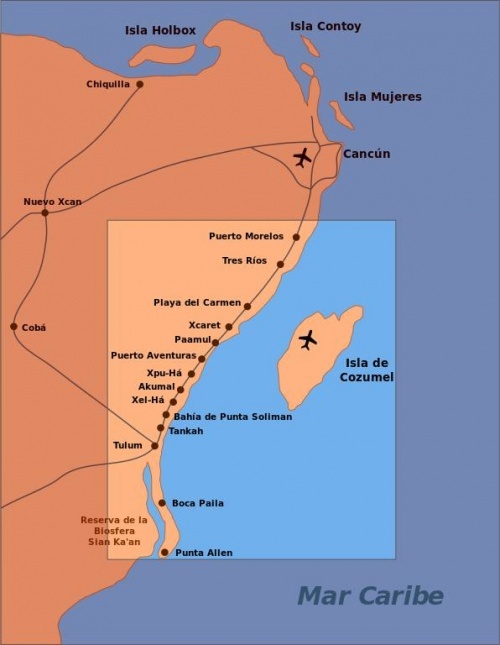 There is also an ideal viewpoint to cover the practically virgin landscape of this area of the Mexican Caribbean. Punta Sur is also a place of cliffs. There is one of up to 20 meters above sea level and is a contiguous Garrafon reef formation that houses a park of the same name. With the passage of time, nature has sculpted the cliffs to give them the exceptional beauty they show to their visitors today. Punta Sur in Isla Mujeres is undoubtedly a must for those who visit this corner of the Mexican Caribbean, so you can not stop visiting it on your next vacation. I could not say goodbye without talking about the King's Pool, the best natural pool you can find in this Caribbean paradise. It is located at the north end of Playa Norte and is a natural formation of reefs. Due to its shape, the waves of the sea do not hit, allowing you to enjoy a dip just as if you were in a natural saltwater pool. The circular shape of the King's Pool allows you to even snorkel in its surroundings, as fish of different species arrive. 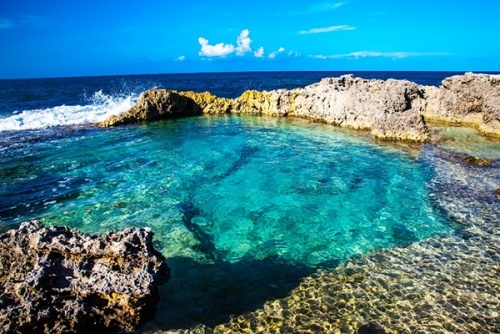 Perhaps the only negative point is that the King's Pool does not have public access since it is located within the area that occupies the MIA Reef Isla Mujeres hotel. But not all is lost. To enjoy the King's Pool you can pay a "day-pass" to enjoy the hotel's all-inclusive service (without a room), including bars, restaurants, pools, lounge chairs, beach and, of course, the King's Pool. In addition, the beach area of this hotel offers a truly incredible and unparalleled view during the sunset, so it will be worth paying a bit to enjoy these wonders. Now you know it. Isla Mujeres is a small place with great options to enjoy your next vacation. Visit it! I'm sure you'll love it. I await your comments.